Before the final of a big championship there is always a wild debate about whether the two right teams are in the final, or if there were better teams in the tournament, who were eliminated only because of unfortunate circumstances. At the 2019 Asian Cup in the Emirates, we can justifiably claim that audiences in Abu Dhabi will enjoy a worthy final. With Japan and Qatar, the two best teams in the tournament are now in this title game. Without question, the winner of this match will have earned the trophy afterwards. It is unclear, however, in which direction before the duel between Japan and Qatar the prediction goes. Both teams have won all six games at the Asian Cup. The Qatari seemed a bit more confident, but the bottom line, both teams have cleared heavy chunks out of the way. 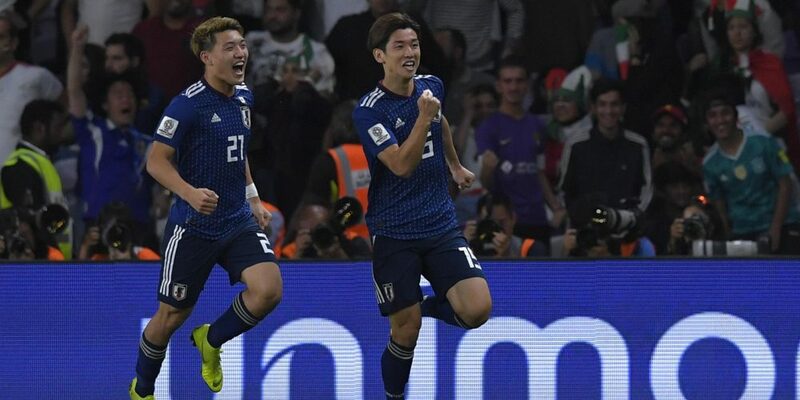 In the run-up to the Asian Cup, we would have known each other in the duel between Qatar and Japan, regardless of the odds, clearly to the Blue Samurai. However, we are impressed by how the Maroons marched through this tournament and now trust them all, even a victory in the final against the record champion of Asia. The Japanese have already won this title four times, most recently in 2011. With another triumph, they could further extend their lead in the eternal ranking of this competition. Qatar was not even in the semifinals of the continental championships before the current Asian Cup, but the upcoming World Cup host has presented great and thus also vigorously stirred the drum for the next World Cup. It is clear that this is the biggest game in the history of the Maroons. The kick-off to the final of the Asia Cup 2019 between Japan and Qatar in the Sheikh Zayed Sports City of Abu Dhabi will take place on 01.02.2019 at 15:00. The Japanese were in the run-up to the Asian Cup in 2019 as one of the big favorites for the title. After all, the Japanese are record Asian champions and have already won this tournament four times. So the Blue Samurai have also appeared in this edition of the continental championships. All six games played by Hajime Moriyasu’s team have been won. Among other things, there were really serious duels against Saudi Arabia or Iran. Since the World Cup last year, the Japanese have not lost in eleven internationals. No wonder that before the final between Japan and Qatar lower odds are offered for a victory of the Blue Samurai. The Japanese have initiated a change after the World Cup. Many experienced players were sorted out. The coach sets in attack now primarily on tempo football, which would have been no longer possible with some veterans in this way. The start of the Asian Cup was a bit slow for the Japanese, but gradually the team from the land of the rising sun got off to a good start. The preliminary masterpiece succeeded the Blue Samurai in the semi-final against Iran. In a balanced game, it was the Japanese who were hard to beat in terms of efficiency. After a scoreless first half, the Bremen Yuya Osako advanced in the second section to match winner. In the 56th minute from the game and eleven minutes later from the penalty spot, he brought his team 2-0 lead. The 3: 0 final point continued with Genki Haraguchi another Bundesliga legionnaire. For what purpose the Blue Samurai are but gone in this tournament, makes the statement of captain Maya Yoshida clear who feels to have achieved anything yet. If you’re a four-time Asian champion, then you’re not so happy with the finals. Only with the title Japan would be happy. We can well imagine that Japan will compete in Friday’s final with the same formation as in the semi-finals, especially as the Japanese had one more day break before the final. Only Toshihiro Aoyama will not be available due to injury. Qatar is politically isolated in almost the entire Middle East. Qatar fans are almost never seen in the Emirates. If we like, Felix Sanchez’s team will be hostile to everyone in the Emirates. It is all the more astonishing that the Qatarians have not been impressed by it so far. Before the final, the team of Felix Sanchez is probably the best team in this Asian Cup. Therefore, it would not be so foolhardy to conclude a tip on the host of the upcoming World Cup in the match between Japan and Qatar. There are two reasons for the soaring and six victories at the Asian Cup. For one, the defense is bombproof and then there is the dynamic attack duo. Almoez Ali is already the top scorer of the tournament with eight goals and has thus set the record of Iranian Ali Daei from 1996. Almoez Ali can still refill. In addition, Hassan Afif alone has given eight assists at the Asian Cup. In the semi-final against host UAE, the Maroons showed what they are capable of. With 4: 0 the opponent was forced to his knees. Boualem Khoukhi, Almoez Ali, Hasan Al-Haydos and Hamid Ismaeil were the scorers, who were thrown from the stands with shoes and plastic bottles in the cheers. With strong opponents and with pure hatred, the Qatar can handle that. Although the biggest success in the history of the association has already been celebrated, there is still a step to a great triumph. Felix Sanchez will once again put on his safe defensive in the final, which can compete with the permanent staff. Bassam Hisham and Abdulaziz Hatem were yellow-flagged in the semifinals, but they are sure to be in the final. The Spanish coach will send his dream formation into the race, which will make the big dream come true. The teams from Japan and Qatar have measured their strength eight times to date. The direct comparison is balanced with 2: 2 victories and four draws. The last duel of the two finalists was at the 2011 Asian Cup in Qatar. At the time Japan won 3: 2 in the quarterfinals against the home side. Shinji Kagawa paved the way to victory with a brace and thus the Japanese title. Betting in Japan against Qatar would have been a one-sided affair up until a few days ago. Nobody would have thought that Qatar would be able to reach the record Asian champion. But before this final it looks different now. Although the Japanese-Qatar preseason is still headed for the Japanese ahead of the kick-off, both teams have won all six games at the Asian Cup. The Maroons did not even concede a goal. The bottom line is the two best teams in the final. The Japanese had a day off and may well be pleased with the support of the public, because the Qatari in the Emirates are hated and the whole country in the region is politically isolated. Japan has won all six tournament games and has been unbeaten in 11 internationals since the World Cup. Qatar have also won all six games at the Asian Cup and have not conceded a goal. Qatar’s Almoez Ali is out of reach with eight goals in the scorers’ list, breaking Ali Daei’s record. But that did not stop Qatar from playing a very successful tournament. Felix Sanchez puts the focus solely on the football or the next game and goes very well with it. We can imagine that the Maroons will now even take the next step. Ali Almoez and a solid defensive are the guarantors of a successful tournament so far and that could be crowned on Friday. The Japanese are in favor, but we think the underdog will prevail and would probably dare to tip the Maroons in the final between Japan and Qatar. Whether that happens in regular time, extra time or penalties does not matter, as the Japan vs Qatar odds of up to 2.60 for our tip only include the Qatar victory, no matter the constellation of success.